High quality Ring Joint Gaskets all made and controlled to the relevant standards such as: ASME, ASTM, BS and DIN/WERKSTOFFE. 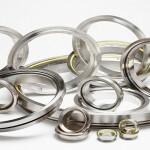 All Ring Joint Gaskets are available in sizes from 3/8” through to any size. 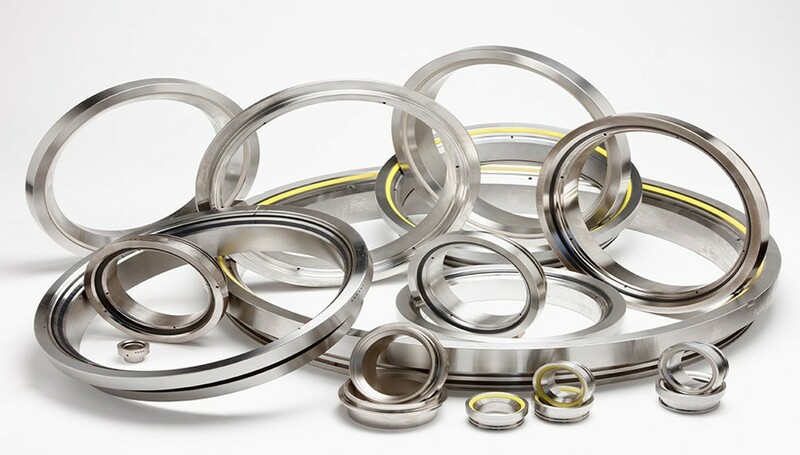 Please contact us for any requirements of Ring Joint Gaskets and we will be happy to help, no matter how specific your requirements. High quality Spiral Wound Gaskets all made and controlled to the relevant standards such as: ASME, ASTM, BS and DIN/WERKSTOFFE. All Spiral Wound Gaskets are available in sizes from 3/8” through to any size. Please contact us for any requirements of Spiral Wound Gaskets and we will be happy to help, no matter how specific your requirements. 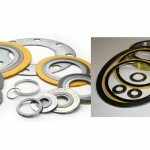 Non metallic Flat Cut Gaskets are widely used in many industries for a variety of applications. Cut to recognized industry standards or dimensions to suit customers individual requirements. Selection must consider temperature, application, media and pressure – technical support is available to assist in your Gasket selection. High quality Flat Cut Gaskets and Sheets all made and controlled to the relevant standards such as: ASME, ASTM, BS and DIN/WERKSTOFFE. All Flat Cut Gaskets and Sheets are available in sizes from 3/8” through to any size. Please contact us for any requirements of Flat Cut Gaskets and Sheets and we will be happy to help, no matter how specific your requirements. High quality Flexible Graphite Sheet Products all made and controlled to the relevant standards such as: ASME, ASTM, BS and DIN/WERKSTOFFE. All Flexible Graphite Sheet Products are available in sizes from 3/8” through to any size. Please contact us for any requirements of Flexible Graphite Sheet Products and we will be happy to help, no matter how specific your requirements. High quality Steel Re-inforced Rubber Gaskets all made and controlled to the relevant standards such as: ASME, ASTM, BS and DIN/WERKSTOFFE. All Steel Re-inforced Rubber Gaskets are available in sizes from 3/8” through to any size. 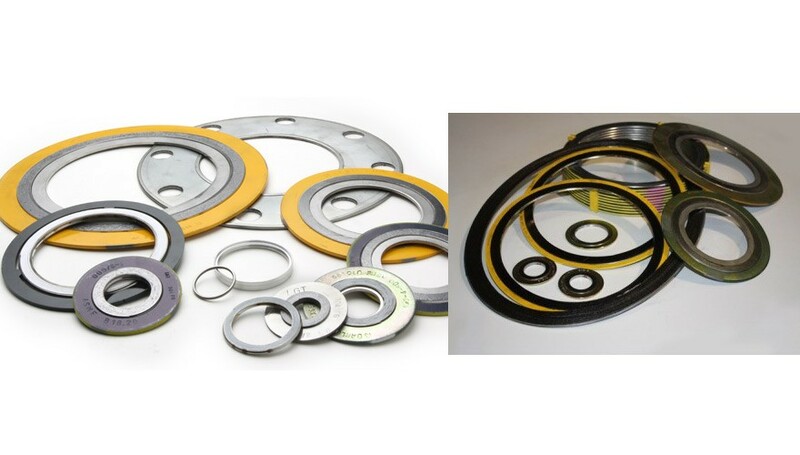 Please contact us for any requirements of Steel Re-inforced Rubber Gaskets and we will be happy to help, no matter how specific your requirements. High quality Metal Jacketed Gaskets all made and controlled to the relevant standards such as: ASME, ASTM, BS and DIN/WERKSTOFFE. All Metal Jacketed Gaskets are available in sizes from 3/8” through to any size. Please contact us for any requirements of Metal Jacketed Gaskets and we will be happy to help, no matter how specific your requirements. Manufactured from a solid core with soft conformable graphite bonded to the sealing faces to suit ASME/ ANSI flanges – Special sizes and core materials also available upon request. Serrated Metal Gaskets are often used as a replacement for Spiral Wound and Double – Jacketed Gaskets and are available in various styles. High quality Serrated Metal Gaskets all made and controlled to the relevant standards such as: ASME, ASTM, BS and DIN/WERKSTOFFE. All Serrated Metal Gaskets are available in sizes from 3/8” through to any size. Please contact us for any requirements of Serrated Metal Gaskets and we will be happy to help, no matter how specific your requirements. High quality Flange Insulating Kits all made and controlled to the relevant standards such as: ASME, ASTM, BS and DIN/WERKSTOFFE. All Flange Insulating Kits are available in sizes from 3/8” through to any size. Please contact us for any requirements of Flange Insulating Kits and we will be happy to help, no matter how specific your requirements.